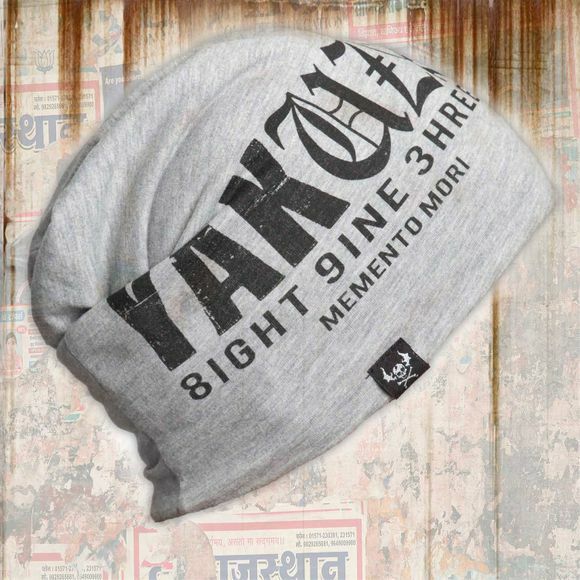 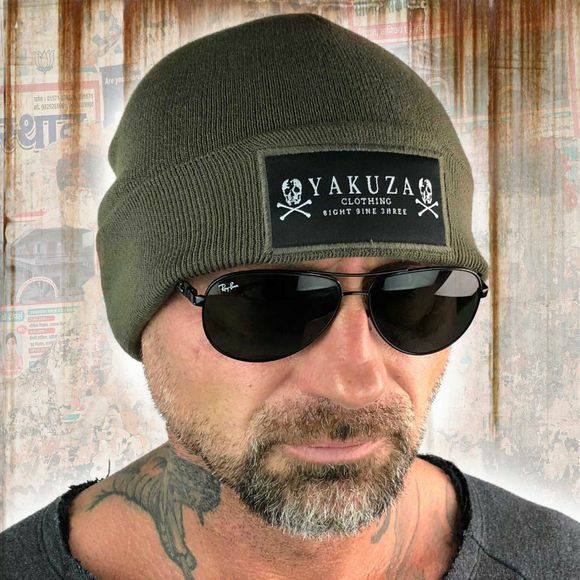 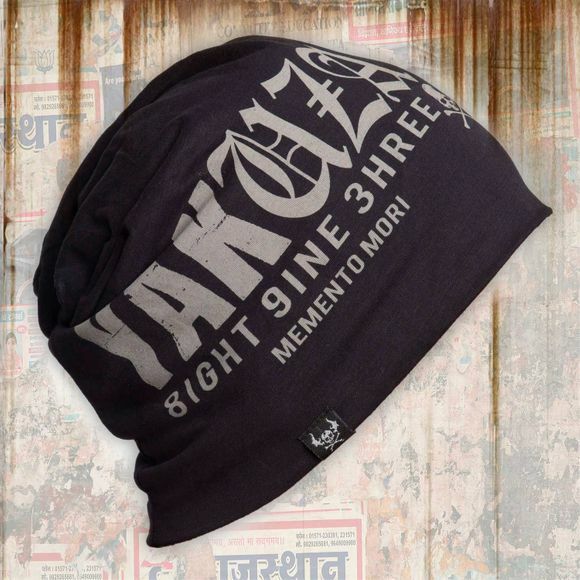 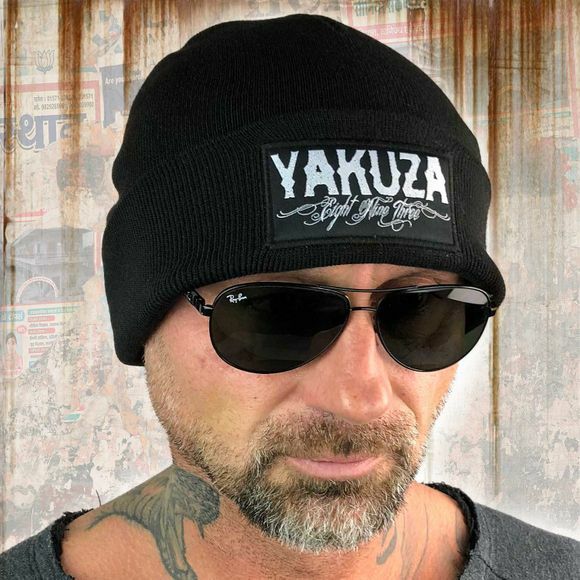 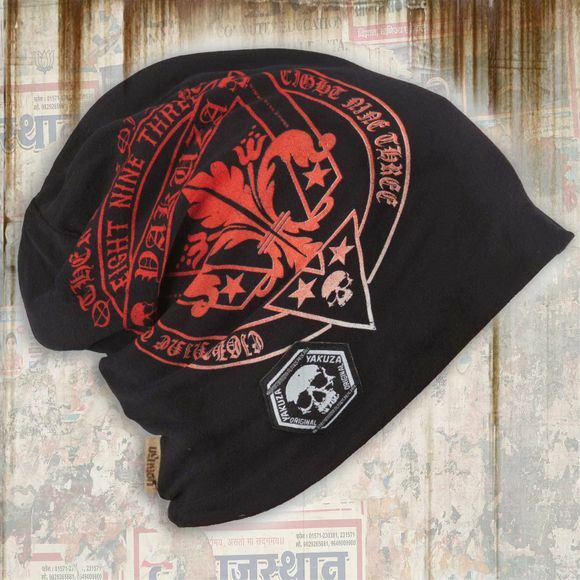 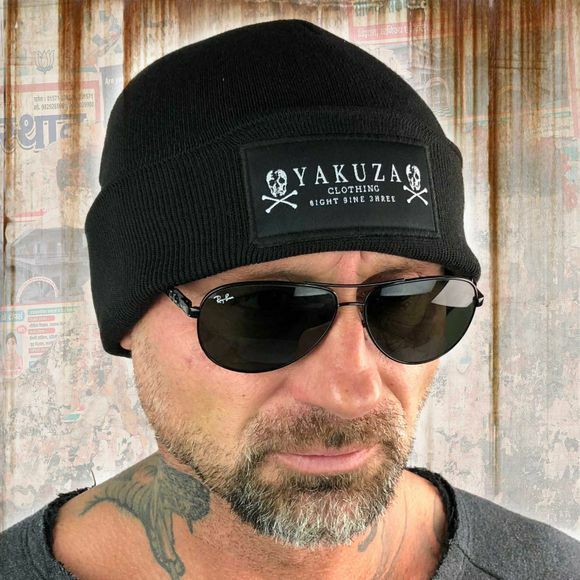 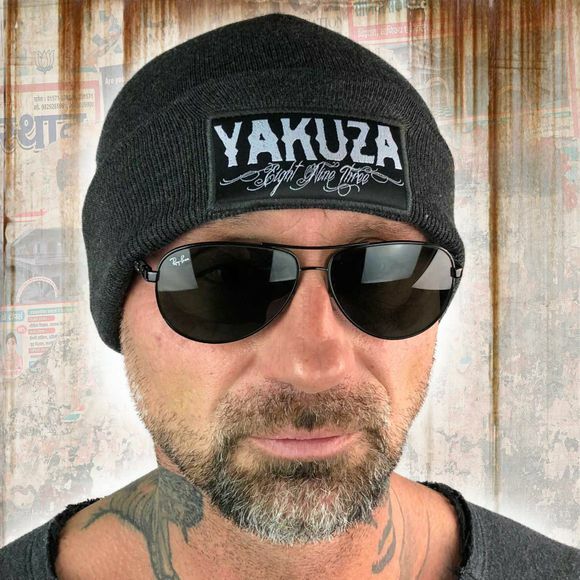 YAKUZA 893 unisex beanie hat. 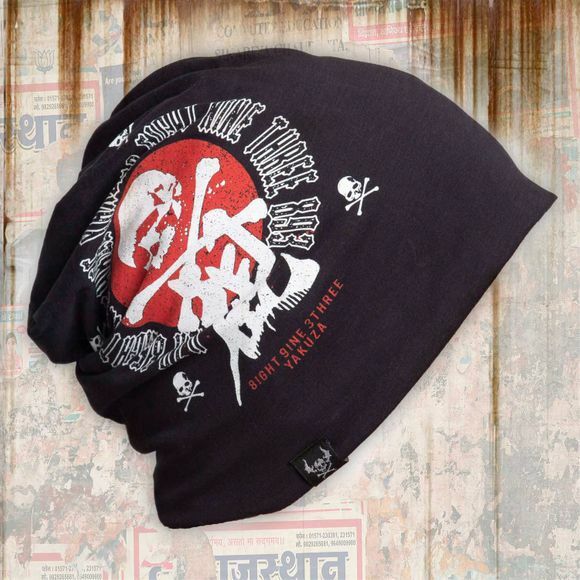 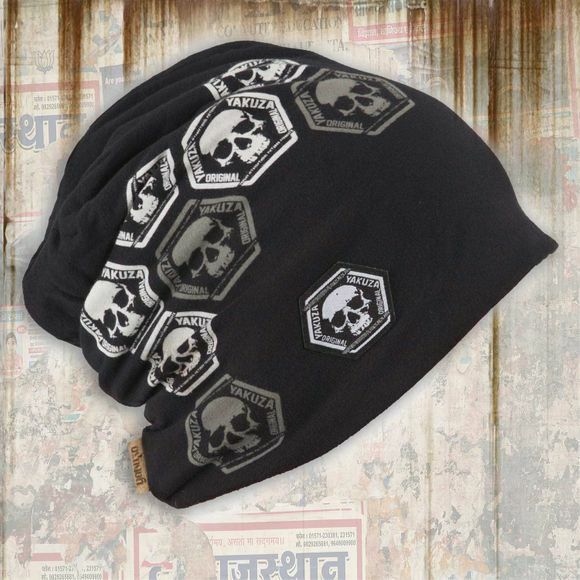 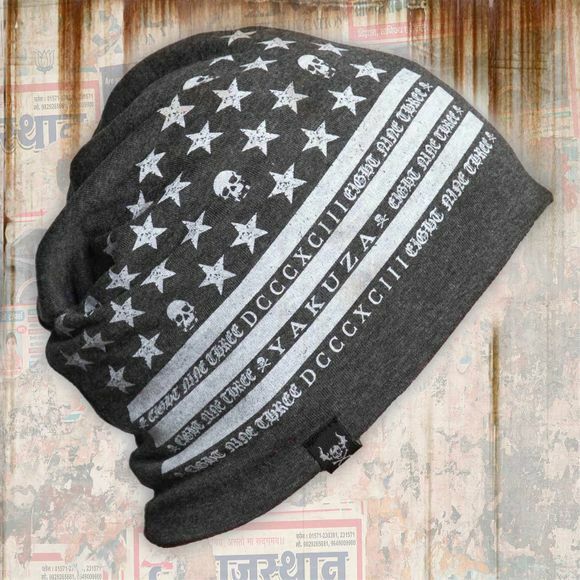 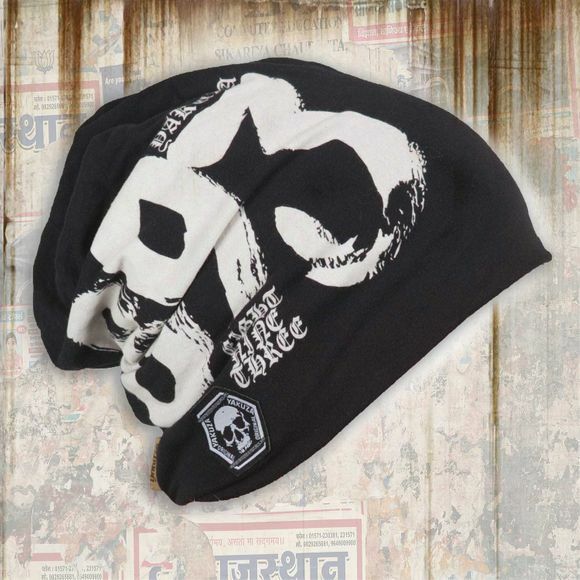 A simple and stylish beanie hat featuring a vintage print. 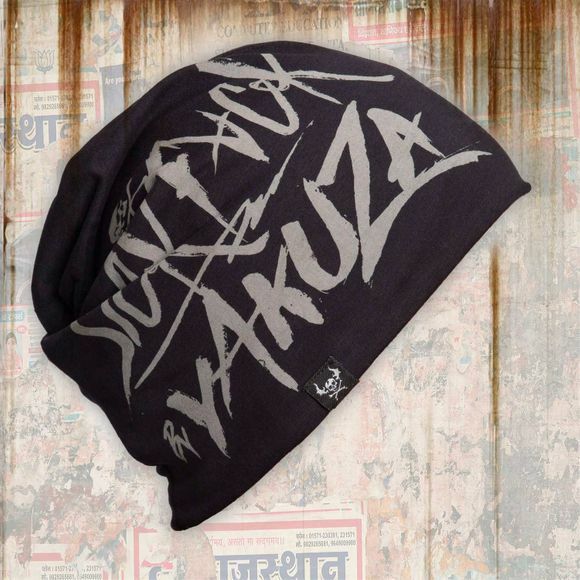 Finished with Yakuza leather tab on side seam as well as a woven logo tab.